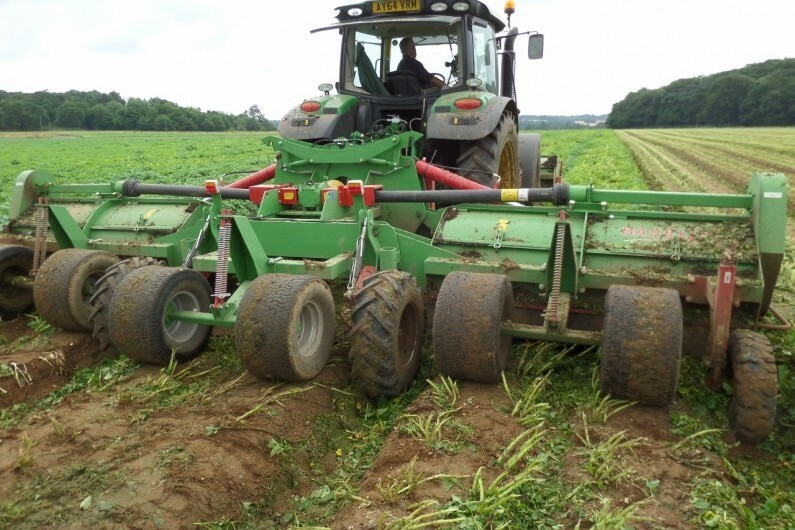 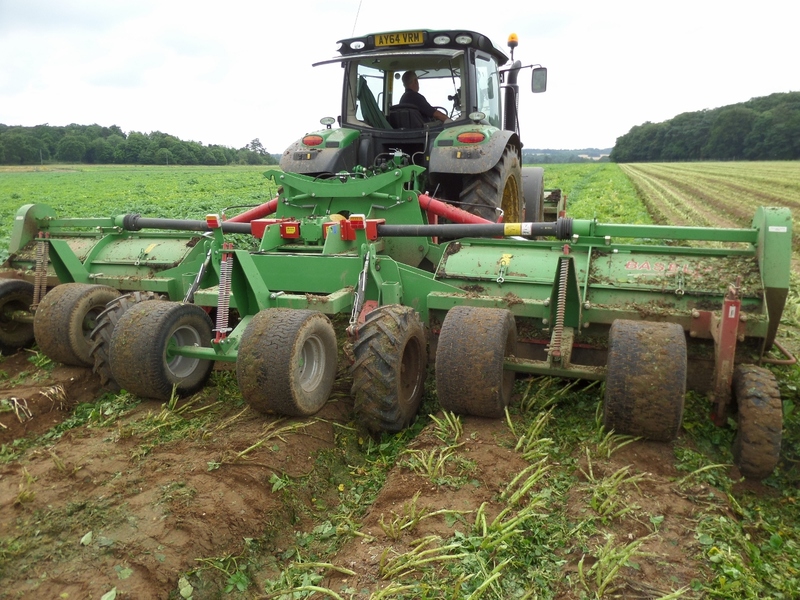 The BASELIER LKB Hydraulic Folding Potato Topper is an integrated topper which can be mounted on the rear of a suitable tractor and comes in 2 formats with either 1 unit on the front of the tractor and 2 on the rear, or 2 units on the rear. 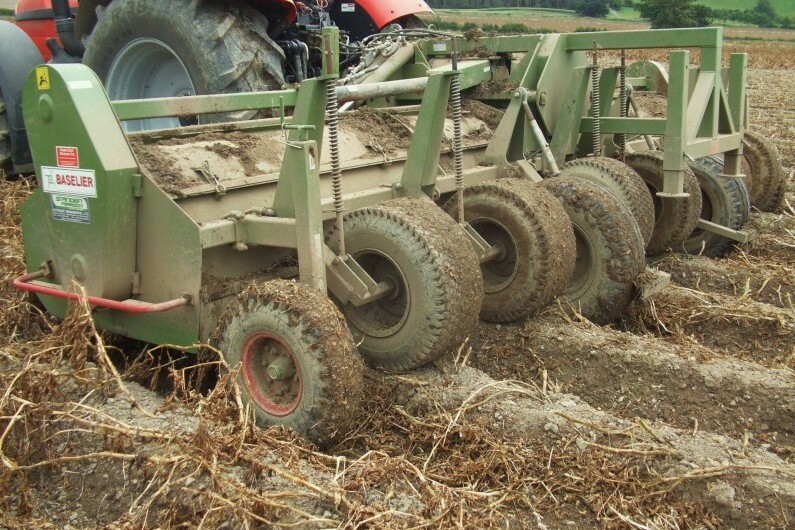 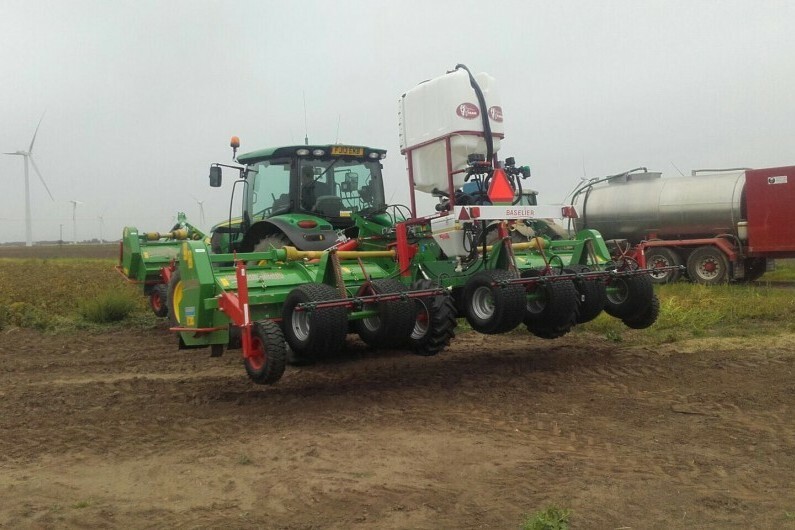 These can be set up to spread the haulm over all of the rows or they can be fitted with bed flails and centre plate deflectors to place the haulm in the wheelings. 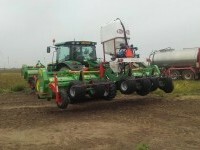 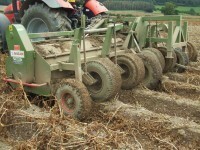 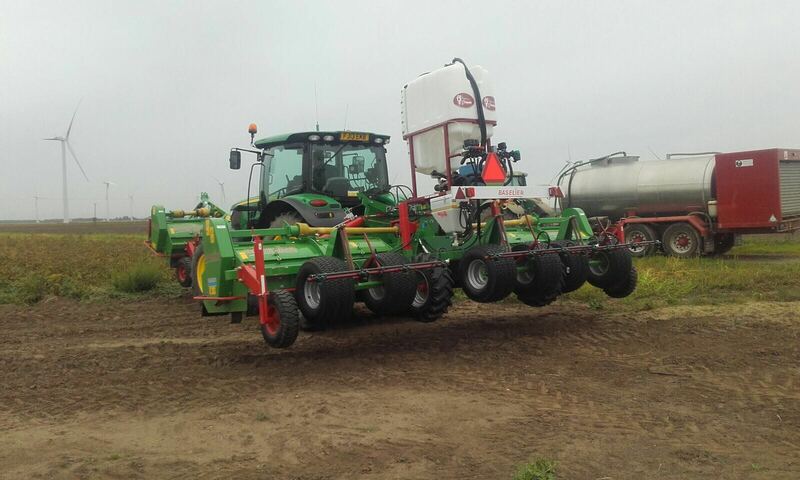 Options include hydraulic depth wheels and ridge press wheels to prevent greening due to ridge cracking.